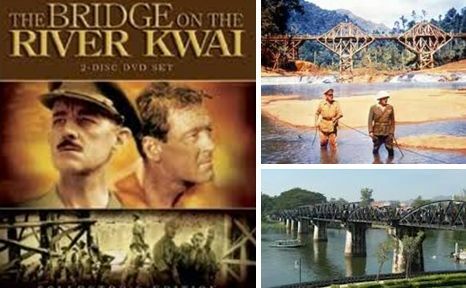 The film "Bridge on the River Kwai"
This news item caught my eye instantly as I had watched the famous Alec Guinness' movie "Bridge on the River Kwai" by David Lean in my childhood and the "Colonel Bogey's whistling Theme" still resounds in my memory. Now the River Kwai Bridge Festival is being opened 25 November today and will continue till 6th Dec 2011. 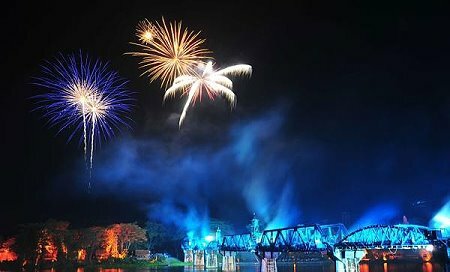 Highlight of the festival is the Light & Sound Show, which tells the history of the Death Railway and the Bridge over the River Kwai. Read full story for travel details..